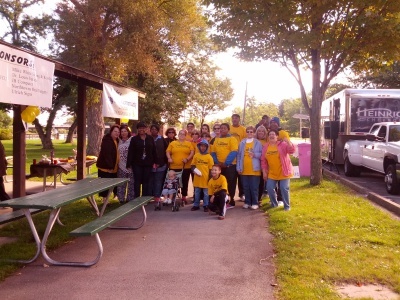 The Walk-A-Thon has been held annually since 1997. 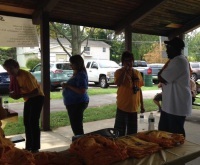 This is a free community event to enhance awareness and to offer the community a sense of partnership. 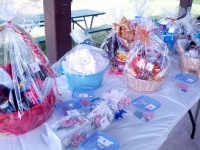 Raffles and food are set up as fundraisers. Entertainment includes guest speakers and a DJ. All donations are solely used to advance our commitment to eradicating drug and alcohol dependency and youth prevention. 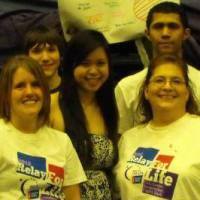 Relay For Life is a fun-filled event designed to celebrate survivorship and raise money for research and programs for the American Cancer Society. 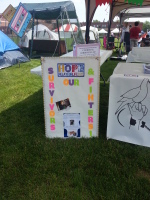 Cancer has touched many of us in some way, so we decided to fight back by raising funds and walking in our local American Cancer Society Relay For Life event. OR HELP US WITH THE CAUSE AND COME TO THE EVENT! There will be tons of fun stuff to do: bounce house, ice cream, HUGE games to play like Jenga and Connect four, a HUGE tented basket raffle, crafts, and lots of food too! A day long symposium of speakers, leaders and mentors addressing the needs and interests of women in our community to help empower their future. 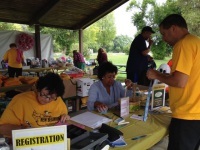 This event has been held each year since 1996. 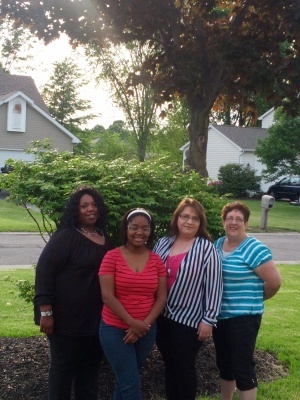 LNB, Inc. celebrates by honoring and awarding one young man and young woman of character for their achievements. We also honor a Person of the Year, which is given to a person with an outstanding commitment to our community. Entertainment, food and guest speakers make this a most memorable evening. PURCHASE WHITE GALA TICKETS HERE!!! 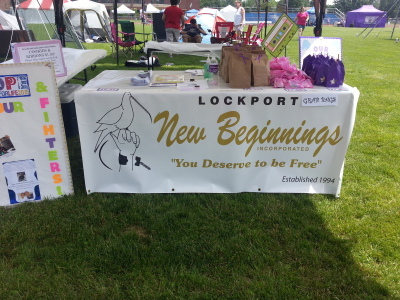 You are invited to join us for a FABULOUS evening of entertainment, refreshments and prizes as we celebrate the Lockport New Beginnings White Gala & Silent Auction! All tickets include a golden gala candy filled bag from the White Candy Buffet, cold appetizers, entertainment and desserts. Please see below for our Evening Entertainment Line-up. Jason Bradley AKA Qwizman, comedy's new funny guy stand up, sketch comedy, hosting, writing, producing short films and comedy dvds. Qwizman is blazing a trail of work from New York to California and has created his own style of comedy through character base skits and hosting shows for up and coming artists. Federal District notice his brand of comedy from his DVD special Qwiz Comedy Hour vol1 that he created and his first short film Return of Hot sauce which earned him awards such as Independent DVD and Short Film of the year. These also landed him on The West Coast Based show â€œThe Bizz Showâ€. Noticed by Comedy Central, Qwizman is shooting his first pilot for the network this summer. 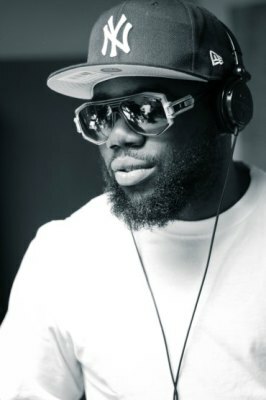 He also took first place at the Apollo and has performed at shows for Jay Zâ€™s 40/40 club. Qwizman has a unique style and his own brand of entertainment and has a hold on the new wave of comedy and entertainment Hollywood here he comes! 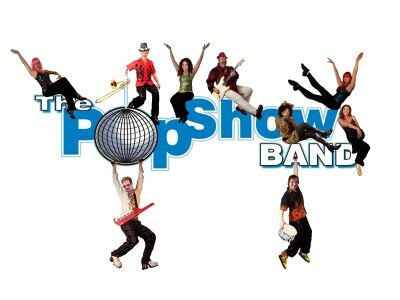 The PopShow Band is a slice of Las Vegas entertainment, within a party band format. We use fun characters & dance routines to highlight your favorite dance music (everything from Big band, Disco, 50's -80's, Motown + current club & top 40 tunes) Elvis, Beyonce, Austin Powers, Madonna, Billy Idol, Cyndie Lauper, Michael Jackson, Charlie's Angels, Wonder Woman, Donna Summer, Tina Turner, Justin Timberlake, Barbara Streisand, Britney Spears, Shrek's Fairy Godmother, & Jennifer Lopez are a few of the songs, routines & impersonations we perform. Char Broome is from Rochester, NY. She began performing comedy over 20 years ago and has been doing comedy professionally for a little over 4 years. Char has performed all over WNY and as far as the well-known J Spot Comedy Club Los Angeles. She has performed in local competitions as a well. Char is currently a youth advocate for Hillside Work scholarship in Rochester and has worked with inner city youth for over 20 years. She also owns and operates a small business in child care and travel. 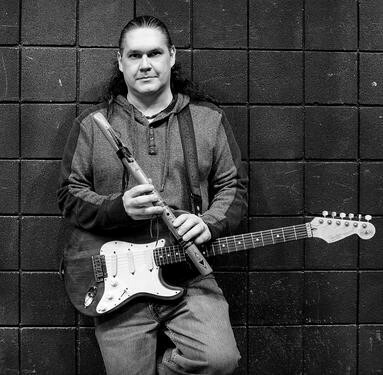 One of WNY's most unique talents: Lockport native Ed Koban, a guitarist and Native-American flutist, performs his transcendent repertoire of music exploring both haunting melodies of the flute and gentle harmonies of the guitar. Koban creates his one-of-a-kind sound by blending a variety of genres from Rock & Blues to Reggae. He constantly pushes the boundaries creating an engaging, intimate, energetic experience that will leave you craving more. He has performed with several respected artists including, Grammy Winners Joanne Shenandoah, and Janice Marie, Rock and Roll Hall of Fame Inductee: Nokie Edwards, as well as, Pura Fe, Gabriel Ayala, Tonemah, Star Nayea, Cody Blackbird, Leanne Shenandoah, Jan Michael Looking Wolf, Dylan Jenet Collins, and others. He has opened for groups like Foghat, Three Dog Night and Rusted Root, and has performed with artists at venues like the Kennedy Center and the 2002 Winter Olympics. At the age of 20, Preciouss joined First Centennial Missionary Baptist Church and studied in the Leadership and Ministerial program from 2001-2002. 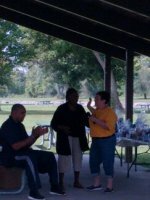 She served as a Praise & Worship Leader, member on the Evangelistic team, and was active in the Womenâ€™s Department from 2001-2003. Preciouss joined The Latter Rain Cathedral in 2003. On August 24, 2004 she gave her trial sermon and received a certificate as Missionary at the Latter Rain Cathedral. After publicly accepting the call to minister, she was appointed Evangelist Missionary. Precoiuss then successfully completed TEN Christian dance technique training for Christian dance ministers. 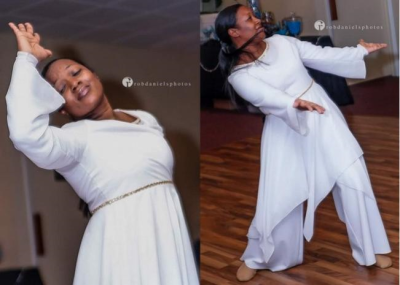 Upon completion she took her training to another level by completing Eagles International Training Institute for Dance Ministry Leadership. 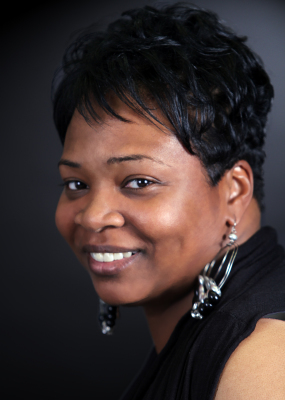 Preciouss is co-founder of a mime ministry known as â€œChosen 2 Worship.â€ and is a member of Latter Rain Cathedralâ€™s Praise & Worship team, Deliverance District Choir, Jurisdictional Choir & Praise Team. She also serves as the Vice President of The Deliverance Districtâ€™s Fine Arts Department, Youth Choir Director and Dance Director at the Latter Rain Cathedral. Jamal Gasol began rapping at the age of 12. He grew up in a city with one of the highest violent crime rates in the state, and Jamalâ€™s rapping was influenced by what he saw growing up in the streets of his city. As an adult, he has performed with Lil Durk, Hell Rell, Fred The Godson, JR Writer, Klass Murda, Benny and Uni-G. For the first half of this year, Jamal is booked for 20 shows and is busy promoting his newest singles "10-4" & "Bad Boy" which will be available on iTunes, Tidal, Google Play and several other online distribution stores. 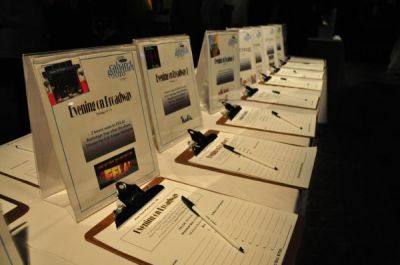 This Silent Auction will run from 6 - 9 p.m. and includes such GREAT items as framed artwork, "Night on the Town" packages, Disney tickets, Theater and Museum tickets, Restaurant certificates, and many more wonderful items! Cash or check only please. 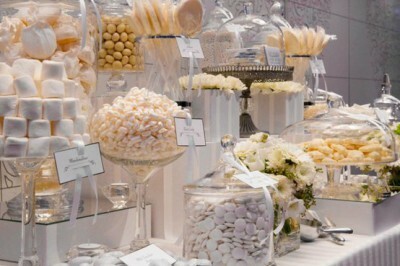 Join us at one or all of our wonderful dessert, appetizer, candy or drink stations. All fit for a beautiful White Gala event! 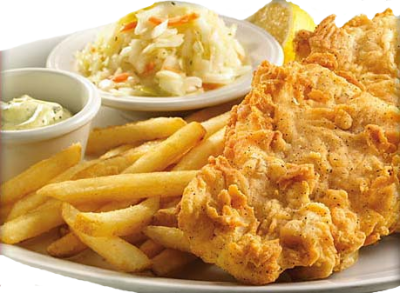 Tickets are NOW available for the April 16th Haddock/Catfish/Pulled Pork dinner. Get yours now! 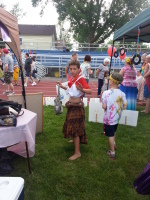 All proceeds go towards Lockport New Beginnings, Inc. youth programs & community events. 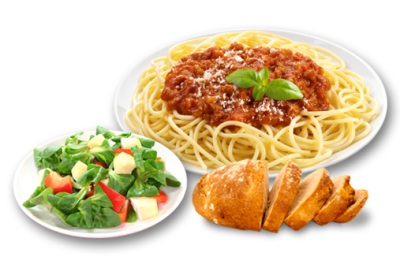 Tickets are NOW available for the March Spaghetti dinner. Get yours now! 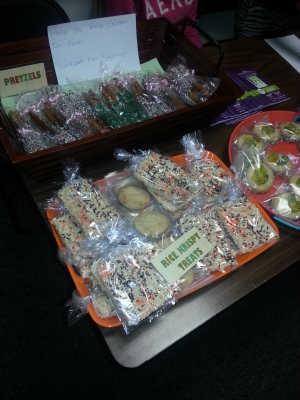 All proceeds go towards Lockport New Beginnings, Inc. programs & events. 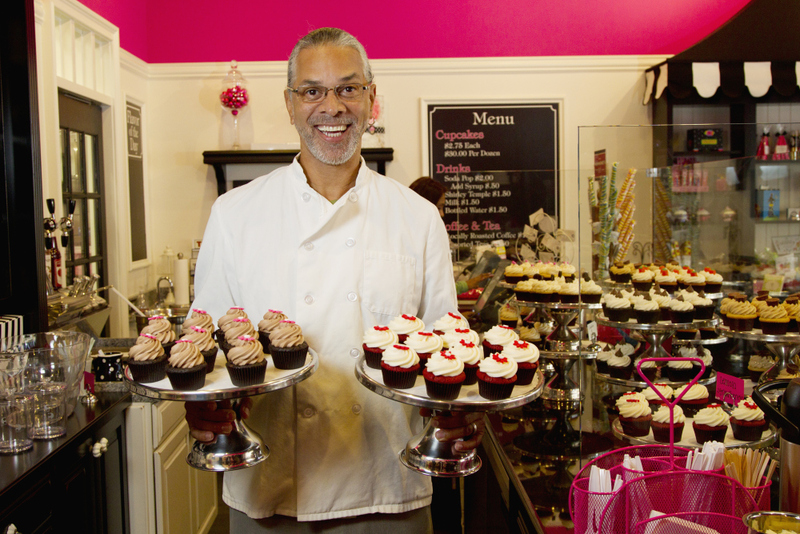 FRIDAY, APRIL 22, 2016 Bake Sale @ The Dale Association 5:30-7:30 p.m.